Tea Sputnik, works in the city of Lleida collecting garbage. One night, she steps up to help somebody in desperate need of assistance. By doing so, he walks into big trouble. 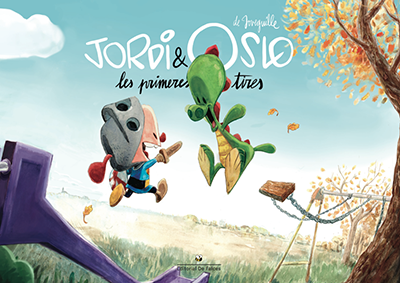 This volume sums up Jordi and his dragon Oslo’s first adventures. With english subtitles and all their friends: Sígrid, Gorka, Hippups, Noam and maybe the Ninja Kiwi! Free! - The "I could draw 200 pages better than you" tier.